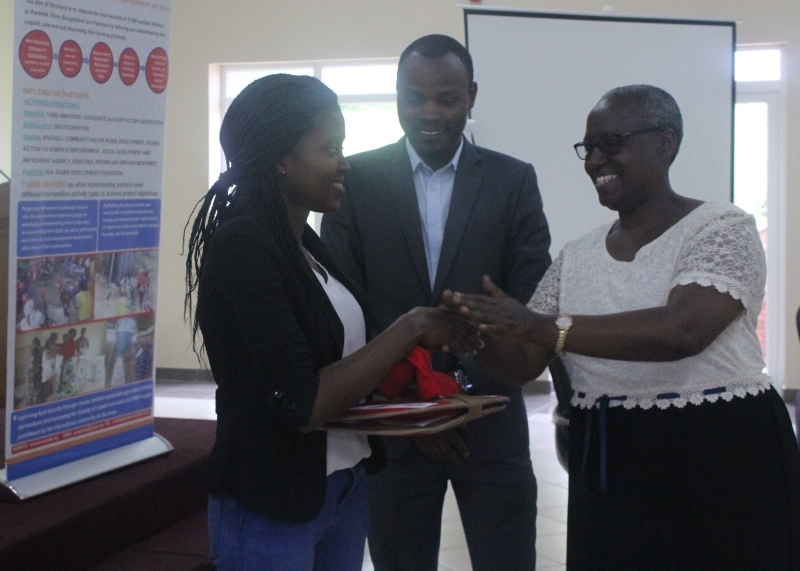 Local Journalists who reported about issues of women’s unpaid care work, were awarded by Action Aid Rwanda on Monday, December 18, 2017. Every participant who submitted the article was given an award. 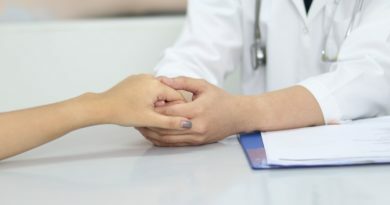 The purpose of this activity is to increase awareness about challenges facing women and their work, basically on the issue of unpaid care work. 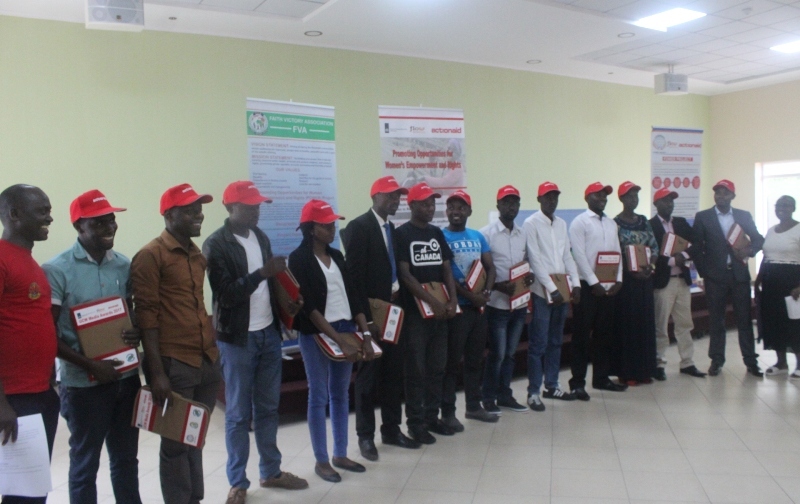 It was done through a competition organized by Action Aid, in partnership with Rwanda Media High Council (MHC), where the best journalists were selected according to the criterion by the judging team. Ferdinand Uwimana, one of the judging team said, “We received 14 journalists who submitted many stories, among them there are some who submitted more than two stories. We followed different criteria to select the best ones, as we were assessing more than 20 articles,” said Uwimana. Five best journalists were awarded From Rwf500,000 to Rwf300,000. Jean Claude Habimana from Radio Salus was awarded the best winner with 80.6 percent marks, Donnah Mbabazi from The New Times was the second winner with 71.6 percent, PrudenceKwizera the 3rd with 66.6 percent, Michel Nkurunziza the 4th with 61.3 percent, and Pacifique Nkurunziza the fifth with 58.3 percent. Michel Nkurunziza from The New Times said the competition motivated him to write more interestingly for the public interests. 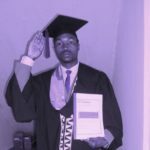 “This motivates us to show the public the role of our work that changes livelihoods of the community, I will increase effort in writing comprehensive articles which positively impacts as well as offering solutions to the communities’ issues,” Nkurunziza told The Inspirer. Jean Claude Habimana the second runner winner’s award said that women empowerment is his passion and priority, especially rural women. 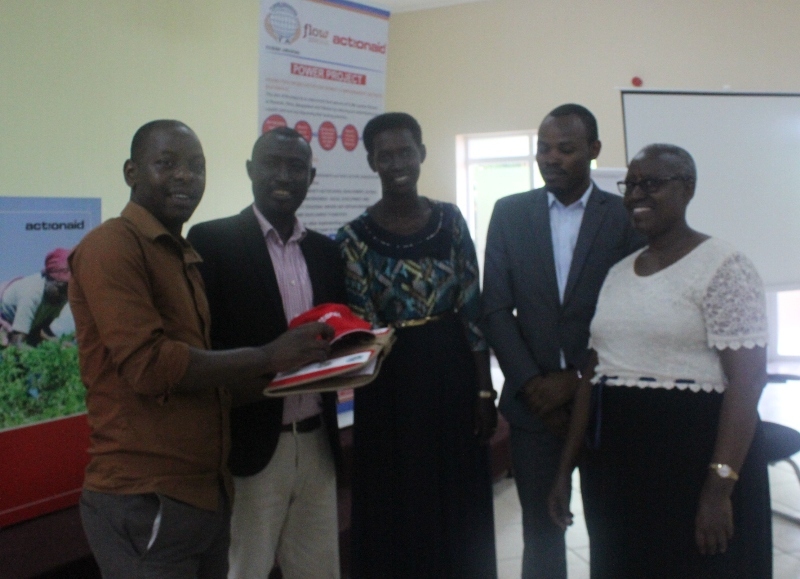 He said, for him to win, “I followed media professionalism in writing stories about women empowerment, and assessing problems facing rural women, I will extend my career in promoting human rights and women’s contribution towards the national economy,” said Habimana. “I am so glad and grateful for the award, and .i also can’t help, but thank Action Aid for such an opportunity, in regard to recognizing our efforts as journalists. 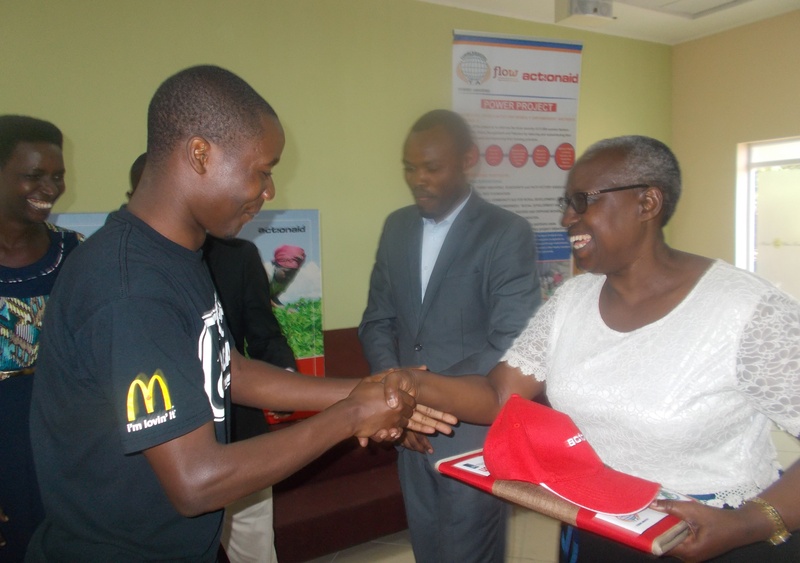 Such awards motivate us to even work harder..I thank them again,” Donnah Mbabazi from The New Times. The New Times’ journalist Michel Nkurunziza receiving award. For Daniel Hakizimana, the participant among the losers said such an award is meaningful, as it plays a pivotal role in the community’s development, thus increasing professionalism among journalists. 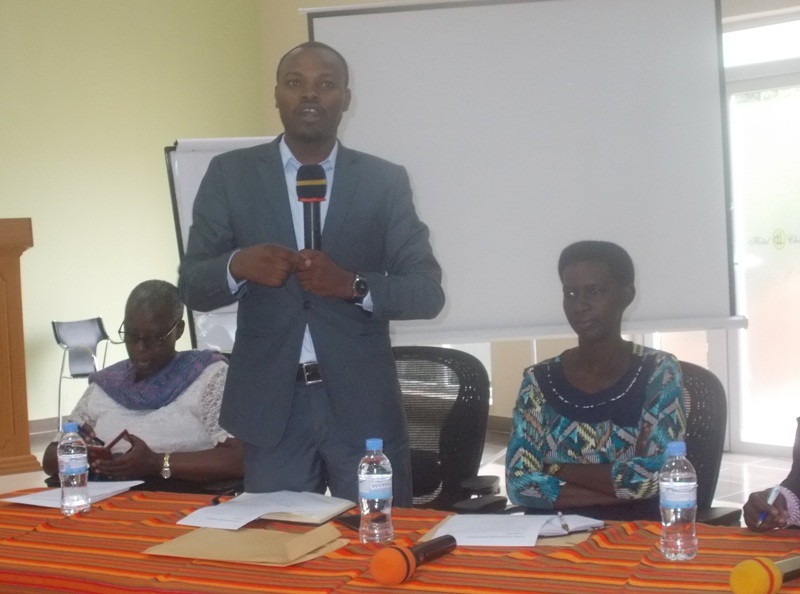 “I encourage others to participate though I lost this round, because whether you win or lose you discover some areas for improvement towards your every day work,” said Hakizimana. Uwimana noted that there was zero tolerance, while assessing the best articles, as they followed comprehensiveness and professionalism. 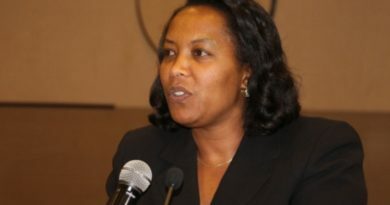 “People should understand that this competition is fair, last year I was among this judging team, and now this is for greater value, as editors, we assess stories considering our current knowledge, people should take this as an added value for raising the voice and giving the value to women from the remote areas,” said Umuhire. The New Times Journalist Donah Mbabazi, the only female gets award. (Elias Hakizimana). Valentin said that six criteria to select best winners were adhered to, and among those assessed said that the given theme was suitable “unpaid care work” because it matches with the article, which was given 10 marks, the number of story submitted , the focus, gender equality during the interviews, implication of civil society organizations, involvement of government entities and flow of ideas which were given 30 marks, implication of other stakeholders within the story like, local authorities, research implication at 20 marks, countrywide level coverage at 10 marks, and journalism ethics marked 10. Kanzayire however, recommended that more female journalists should be encouraged to participate as the current competition had only one lady. 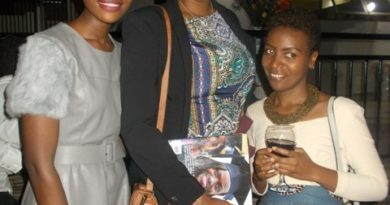 She also encouraged journalists to write stories thatr bring change in the community. Josephine Uwamariya, Action Aid Country Director thanked the judging team for having earmarked time for scrutinizing and analyzing the marking scheme of participants. Uwamariya said that Action aid will continue to consider journalists’ work which makes impacts on the community. “We will recognize the importance of media in raising issues that affect women, I am stressing on this, because women’s rights are at the center of each activity within the action aid’s programmes. She pledged more support for the journalists who are committed in assessing community’s issues based on women. 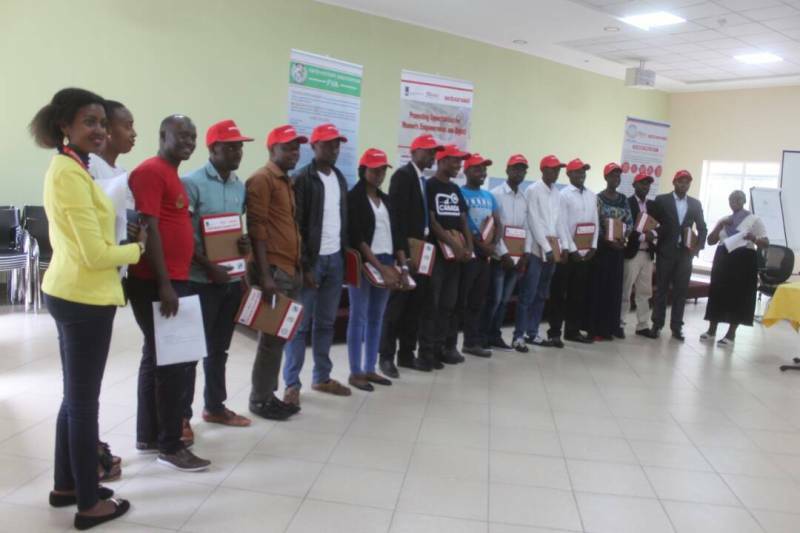 “I urge you to continue being strong committed partners, come to action aid in case you need further clarifications, further assistance, we will be able to partner and to increase awareness and commitment, I want to wish you very festive season.” Uwamariya noted.